Chief David Bejarano heads the police force in Chula Vista, Calif., and he's also top dog at the California Police Chiefs Association, a statewide organization whose hopes and concerns over the 2016 legalization of cannabis boil down to: We hope it doesn't; we're concerned that it will; and we hope to have a place at the table if it does. 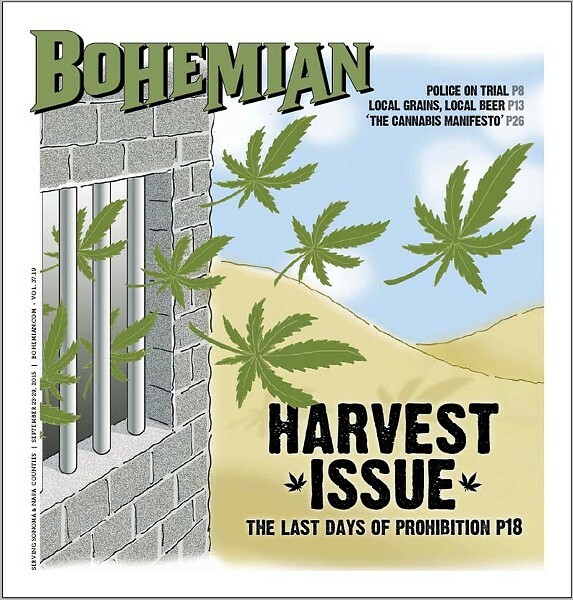 In an interview, Bejarano identifies numerous areas of concern when it comes to cannabis legalization and its intersection with law enforcement; those concerns mirror many of those brought to bear by his organization as they've worked closely with lawmakers to come up with chiefs-friendly language in a statewide medical-cannabis policy hashed out by the Legislature this year. If legalization must happen, says Bejarano, his organization is keyed on public-health concerns, especially among youth whose brains are at risk at an early age; an increase in drug-related DUIs on state roads; and heightened illicit sales if the state sets the cannabis tax so high that it encourages a black market. Which brings up that violent and entrenched Mexican drug cartel that Colorado doesn't have to deal with, notes Bejarano. Despite whatever tax boon might come to the state, Bejarano argues that it won't "offset the social cost of cannabis," which he says will be paid in the criminal justice and healthcare systems. "We're standing side by side with the [California] State Sheriffs' Association, and oppose legalization," he says. "But if it's voted upon by the voters, we have to be at the table to protect public safety, and push for strong regulation. And we should be at the table." Bejarano says he hopes that if the state does go legal in 2016, it won't take 20 years for lawmakers to come up with a statewide regulatory apparatus, as happened with medical cannabis. He hopes cannabis revenues that can be realized are redirected into healthcare, rehabilitation programs and in nipping back the "higher burden on the enforcement side, especially the drug DUIs. We need more drug-recognition experts. That is the challenge for us. We don't have enough of these officers." Pot growers are not a monolithic group. Some grow outdoors. Some grow inside. Some own their land and others rent. Some have quasi-legal status as suppliers to medical marijuana dispensaries, and others grow for the black market. So how legalization might affect them depends on what kind of grower they are. I spoke with one indoor grower (who requested anonymity) about what his hopes and fears are if legalization comes to pass. His biggest concern: price. The price for a pound of weed (now about $3,000 to $3,600 for indoor-grown) continues to fall because of growing supply, but also changing techniques out-of-doors. Many outdoor growers now use a technique called light deprivation that involves tarps and hoop houses to compress growing cycles by getting plants to flower sooner and more often. That means that what once was a glut of outdoor-grown cannabis in October and November now gets spread out, eating into the premiums that indoor-grown herb commands outside of the "flood" of the traditional fall outdoor crop harvest. His other concern is whether new legislation will protect small-scale growers or open the door to deep-pocketed mega-growers who force out little guys like him. With those factors in play, this grower echoes what many in the industry say: "No one really knows what's going to happen." As the co-owner of a hydroponic growing and gardening supply shop in Santa Rosa and Sebastopol that caters to cannabis growers, Marzullo gets asked about the run-up to legalization all the time. "That's the question of the decade," he says. "I have this conversation at least five times a day." He hopes business will stay the same, but if voters approve legalization, he realizes his industry will grow, and with it will come more competition from big retailers like Home Depot and Lowe's. Those stores already carry some of the soil amendments and fertilizers that Deep Roots carries. "We're at the mercy of where the market goes." He says he's carved out a narrow niche, and his edge is know-how and a willingness to deal. "Big stores are not willing to negotiate on a larger level. They're asking full retail price for everything." For Kevin A. Sabet, director of the Drug Policy Institute at the University of Florida, co-founder of Project SAM (Smart Approaches to Marijuana) and advisor to three U.S. presidential administrations, the move to legalize weed is all about one thing: money. "There's a huge industry that wants to make money off of other people's problems," Sabet says by phone, on his way to speak to schools and communities in Hawaii about the risks and effects of "21st-century marijuana"—much stronger than the marijuana of 10 to 20 years ago. "And I'm very concerned about that." Sabet founded SAM in 2013 because he was concerned with the false dichotomy of the marijuana debate: that we either have to legalize marijuana or incarcerate people for it. "I thought there were many better, smarter solutions on these two extremes," he says. Sabet's biggest worry, he says, is with the adolescent brain. "My concern is that access and availability and legalization would increase the influence of an industry that's going to downplay the harms." Last week, Sabet spoke to schools in Marin, where he says that many parents were unaware of the negative effects of marijuana, and thanked him for bringing the issues to their attention. "I heard a lot of people saying that this is not an issue that folks want to talk about around here—that this is kind of something that gets slipped under the rug," Sabet says. "And that it's really an elephant in the room because, you know, no one starts their heroin addiction putting a needle in their arm, right?" Learning from Colorado about how the marijuana industry has taken hold should be frightening for Californians, Sabet says, who have taken a strong stance against tobacco. As if in a dream, I encountered a random North Bay pothead over the weekend. He was wandering around an undisclosed location in West Marin, smoking a joint while eating a plum and reading the latest Bolinas Hearsay News. I approached this man, a wild-eyed hippie in dirty, patched coveralls, as he blew a big puff of smoke in the general direction of capitalism, which random North Bay pothead disdains as a matter of principle. I approached random North Bay pothead and asked, What are your hopes and concerns when it comes to cannabis legalization in California? To which he responded: "Are you a narc?" I convinced him I was a reporter on a search for hopes and concerns as they relate to cannabis legalization. "I'm concerned that you're walking up to people you don't even know and asking them dumb questions," he said. "But I'm hopeful you might join me for a puff of this fine, stanky homegrown, so that we might get to know one another before I answer your questions in a more thoughtful manner."